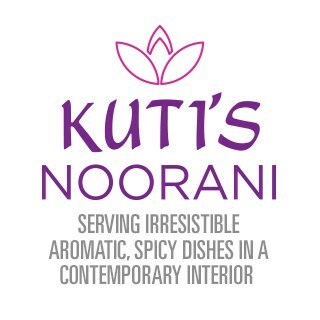 A warm welcome to Kuti's Noorani in Fair Oak, simply irresistible Indian cuisine. Our aim is to serve authentic Indian cuisine. Traditional and innovative new dishes are designed to reflect an ethos of innovation, creativity and our long standing reputation for excellence. Over drinks and poppadoms, choose from our menu's wide selection of Indian and Bangladeshi dishes, select from a tantalizing and unusual range of fresh fish, duck, lamb, poultry and inventive food. All our dishes are prepared each day using the highest quality ingredients. If there is a dish not shown on our menu that you would like or if you are not sure which dish to order to compliment a particular choice please ask for our guidance as we are more than happy to help. We also offer takeaway service with a 10% discount on collection. Attentive service. Very accommodating. Wonderful choice of food at the buffet. Excellent value for money. Always have a really nice time here. Kutis is amazing. The staff are lovely and the food is fantastic. I am happy to try any dish on the menu knowing it will always taste amazing. Warm friendly greeting on arrival, clean and comfortable surroundings and varied menu choice. Excellent tasty food and served with a smile. Parking could be easier but plenty of room if a 3 minute walk is not too much. Recommended venue for a good night out with a wide choice of traditional Indian foods. Excellent as ever. Lovely staff, fabulous food. Service is always first class and the food of the highest order. Had a lovely lunch with family, we opted for the buffet and they had enough choice for my vegitatean granddaughter as well as us meat eaters. Nothing was too much trouble. Service very good. Lovely atmosphere. The experience at the Noorani is always second to none IMO. Slightly more intimate & private than the Brasserie but the same fastidious attention to detail as you’d expect from Kuti’s. Can’t wait to go back! As always, a fantastic service! Thank you so much! As always a really friendly visit. Kutis went the extra mile to make my birthday visit special. The service here is always impeccable and we can’t wait to return soon. A lovely venue for a celebration. Service very attentive and food arrived quickly and was delicious. Will definitely return. Excellent. Very friendly been visiting for years. Always enjoy coming here for a meal. The staff make us feel so welcome and go out of their way to make sure we have a great experience, plus the food is really authentic and tasty. Kutis Noorani is always our first choice when we want an Indian meal. Very disappointed I cannot use my Gourmet card despite the Gourmet app saying I can. This will mean we will not visit as often as we might.